I always forget to use a lip liner when wearing a bright lipstick as I only have a few shades of liners, then after an hour or so I notice it has bled and I not longer have a neat lip line. 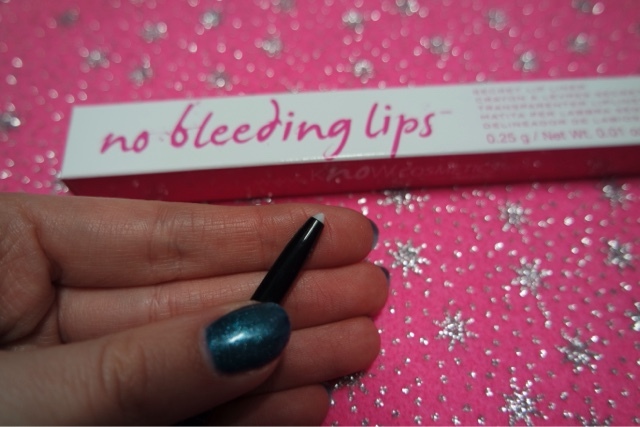 It can be difficult to own a lip liner in every shade, to match any lipstick you may wear, so the solution is a clear lip liner called no bleeding lips. You use this just like any other lip liner but instead of being coloured, it applies clear. I think this is an amazing idea and I don’t know why I never got one before! 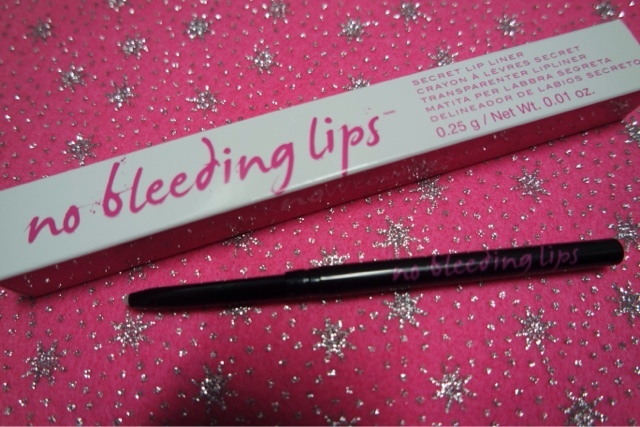 It is a long lasting formula and really does prevent your lipstick from bleeding.